It's that time of year again! 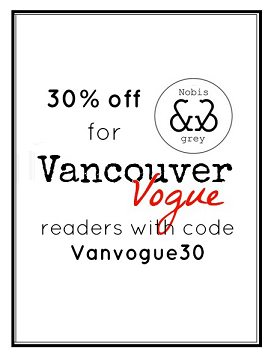 Vancouver Fashion Week is upon us! I'm excited to be working with London Drugs this year to cover the beauty trends which are hitting the runway this week. Tonight, we will be covering the runway shows, and doing backstage interviews with VFW Beauty Directors Chris Funk and Yasmin Morshedian to find out how to wear the hottest hairstyles and make-up trends of Fashion Week (all with products from Covergirl, Olay and Pantene!). Stay tuned, and make sure you follow me (Twitter and Instagram) & London Drugs (Twitter and Instagram) to keep up with our live posting from the shows. Last night was the opening gala, which made for some stellar people-watching, a chance to catch some live entertainment, and of course the pièce de résistance....a sneak peek runway show of the designers' looks! I picked out a few of my favourites, just to give you a taste of what's in store this week. Lots of big hair (the bouffant is back!) and winged liner seem to be key trends, as were crystal-laden gowns (so in love!) and structural designs. Looking forward to the Fashion Week updates! Lovin the Orange Neckpiece and the bursts of colour in your outfit!